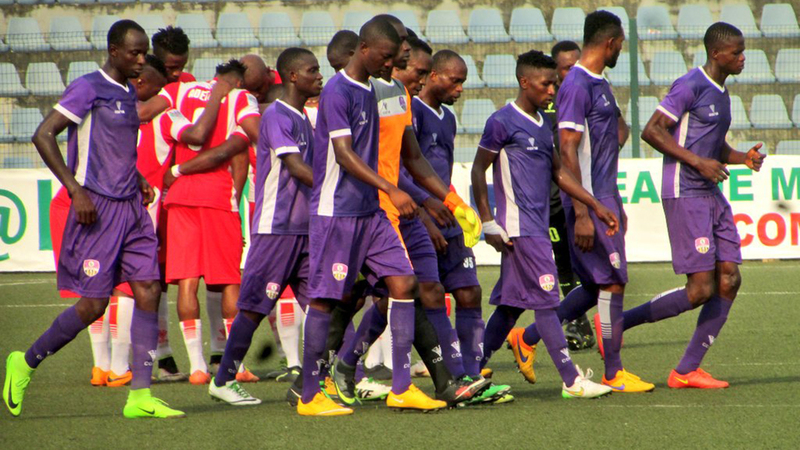 MFM FC waited until they were two goals down before they swung into action and eventually beat Niger Tornadoes 3-2 at the Agege Stadium on Sunday, but Coach Fidelis Ilechukwu knows that they may not get that type of second chance today in Katsina. MFM will be away to Katsina United in a match day nine Nigerian Professional Football League (NPFL) fixture at the Muhammadu Dikko Stadium today. Drawing from the lessons of the Tornadoes’ game, Ilechukwu told The Guardian that he had the premonition that his team would win immediately they equalised to make it 2-2. “The most important thing is the three points and I want to commend the boys for their efforts. In the first half, we were under pressure as a result of the early goals we conceded. This game is very important for the team so that we can remain unbeaten at home,” he said. Ilechukwu said his team was still work in progress having lost eight of its regulars at the beginning of the season, adding that they are trying to avoid complacency, which almost marred their match against Niger Tornadoes. “This is a young team and you don’t put them under pressure. No team in the history of football will lose eight regular players and still remain in place in the world. But it is only MFM that will do it and as you can see, this is a spiritual thing as well. “As I have been saying, this team is still work in progress and I pray we keep improving even in our next match against Katsina United,” he stated. Another coach in search of a better fortune on the road is Enyimba’s Technical Adviser, Usman Abd’Allah, who has set his sights on recording back-to-back wins for the first time this season when they face Niger Tornadoes. The People’s Elephant on Sunday held their nerves to claim a vital win against Remo Stars FC, with diminutive midfielder Chukwuka Onuwa scoring the game’s only goal in the closing stages. The win, Enyimba’s third of the season, has pushed the former champions to third in Group A.
Abd’Allah’s men have not recorded wins on the bounce this term. The team have also failed to pick points in any of their previous three away fixtures, but the gaffer is hopeful that a change could be on the horizon as his players can draw inspiration from Sunday’s hard-earned victory when they face the Ikon Allah at the Bako Kontagora Stadium. “I am happy we got those three points (against Remo Stars) because it boosts the morale of the boys,” Abd’Allah told Enyimba Media. “They’ve understood that now we have to get a point or three points. We have to keep on picking the points away so that we can recover because when you see this league it’s all about the away points that can confirm a comfortable place for you. “That’s what we have come here for. We are planning well for this match and we’ll make sure we get out of this place with something in hand.